Andrew B. Blasi - Shapiro, Blasi, Wasserman & Hermann, P.A. Mr. Andrew B. Blasi has over thirty-five years of practice experience in South Florida. He began his legal career in Miami in 1983 working with former Florida Attorney General Robert Shevin at the prestigious multi-state firm of Sparber, Shevin, Shapo & Heilbronner, which thereafter merged with the renowned worldwide Stroock & Stroock & Lavan law firm headquartered in New York City. Mr. Blasi was also one of the founding partners of the highly regarded regional Fort Lauderdale firm of Berger & Blasi, now known as Berger & Singerman following his departure from that firm and subsequent relocation to Palm Beach County and his eventual establishment, along with named partner Michael Shapiro, of the present Shapiro, Blasi, Wasserman & Hermann law firm in 2001. 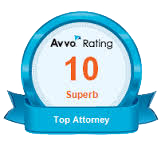 Mr. Blasi has possessed the very highest Martindale-Hubbell Peer Review Preeminent “AV” Rating for more than thirty years, which is a testament to the fact that fellow lawyers have ranked him at the very highest level of professional excellence for over three decades. Mr. Blasi’s main areas of practice include business and commercial transactions and contracts, transactional commercial and residential real estate and finance, including real estate titles, title insurance and real property closings, residential and commercial real estate development, mortgage and asset-based lending, business workouts, dispute resolution and creditors’ rights. Mr. Blasi’s practice also extends to the litigation of disputes which are related to his main areas of practice. Mr. Blasi, along with named partner Michael Shapiro, oversees the Firm’s affiliated title insurance agency, Preferred Title, Inc., which is a Florida-licensed, bonded and insured title insurance agency. Mr. Blasi has been an approved member of Attorneys’ Title Insurance Fund for more than thirty years, and during that time has been abstracting and examining real estate titles and issuing title insurance policies within the State of Florida in such volume and with such competency that he and the Firm have been currently and repeatedly selected to the Fund’s exclusive President’s Circle. Notably, Mr. Blasi has the distinct honor and privilege of having been currently and repeatedly chosen by members of The Florida Bar and a Blue Ribbon Panel of prominent lawyers as one of the State’s annual “Florida Legal Elite,” which is a prestigious group comprising the most highly regarded top one percent of lawyers practicing in the State of Florida whose exceptional credentials and accomplishments were subjected to a rigorous peer review process following nomination. As a repeat Florida Legal Elite honoree, Mr. Blasi has been included in the special annual editions of Florida Trend magazine, which boasts an influential circulation to over 300,000 readers who include Florida’s top business, professional and governmental leaders and decision-makers. Mr. Blasi also has been currently and repeatedly selected as one of Florida’s Super Lawyers, resulting from an evaluation of peer recognition and professional achievement independently conducted by Thomson Reuters, and was recently named one of the “Top Attorneys in Florida” as published in the Miami Herald.